“I want to be a beautiful shade of orange on my wedding day,” said…well…no bride ever. But every bride does want to look the most beautiful she’s ever looked in her life on her big day. It’s THE day! The one we’ve thought of and dreamed about since the sandbox. The day we’ve planned down to the tiniest detail, from the flowers, to the colors, to the cocktail napkins! 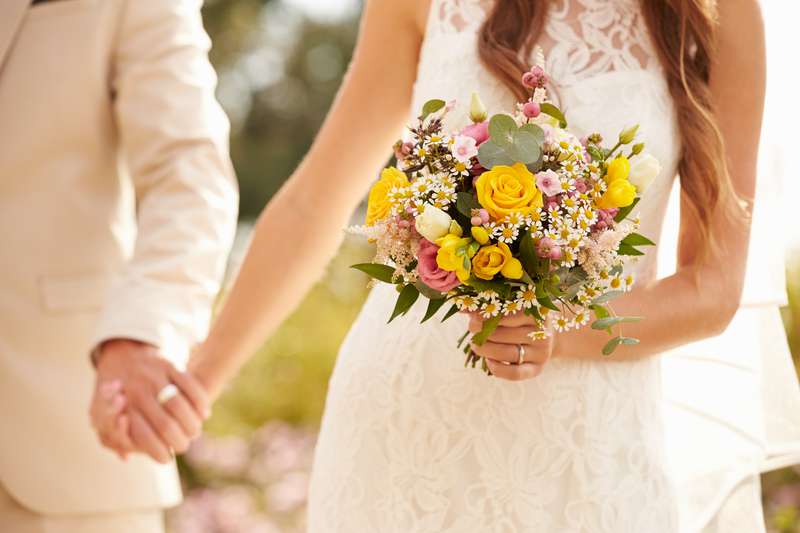 We seek out the best-of-the-best vendors to ensure our wedding day plays out exactly as we wished, booking the top venues, photographers, planners, and stylists to achieve our own personal ideals. Yet so many brides forget to amp up one of their most gorgeous assets – their skin! – to brighten their bridal glow. Stepping in to a tanning bed or spray tan booth leaves brides vulnerable to uneven, streaky skin in a shade that doesn’t belong on this side of the citrus aisle. Brides want a natural, believable glow to complement their white wedding gowns, but they so often don’t know where to go or whom to trust to get the right tan the right way. Leah Hamsho, owner and operator of premier airbrush tanning studio Bella Solé, understands the fear her clients feel of walking down the aisle looking like an Oompa Loompa. Her wealth of experience and commitment to using only all-natural ingredients in her tanning salon gives her brides a beautiful, radiant glow they can feel confident in on their special day. Here are Leah’s guidelines for getting the natural, glowing tan all brides deserve! Studios that use sugar-based tanning solution. Many places use a beta carotene-based spray because it’s cheaper for them, prioritizing the bottom line over their customer’s satisfaction. “Carotene” means carrot, which — you guessed it — means orange. No and thank you. Great customer reviews. In most states, you do not have to be certified to run an airbrush tanning business, so you want to make sure the studio you’re booking with has a solid reputation. Sometimes this means paying a little more out of pocket, but you get what you pay for when it comes to tanning studios. Spending an extra $10 can go a long way in getting the results you want. Trust me, your future self (and your wedding photos) will thank you! Trial runs are highly recommended. A “test tan” allows you to find out how an airbrush tan develops and looks on your skin tone, as well as how long it will last. If the overall color comes out too light or too dark, your tanning professional can tweak the formula and/or application for your wedding day. Schedule your trial tan three to four weeks prior to your final wedding tanning appointment so that your tan has time to run its full course and you can have a “clean slate” of skin to tan for your wedding day. 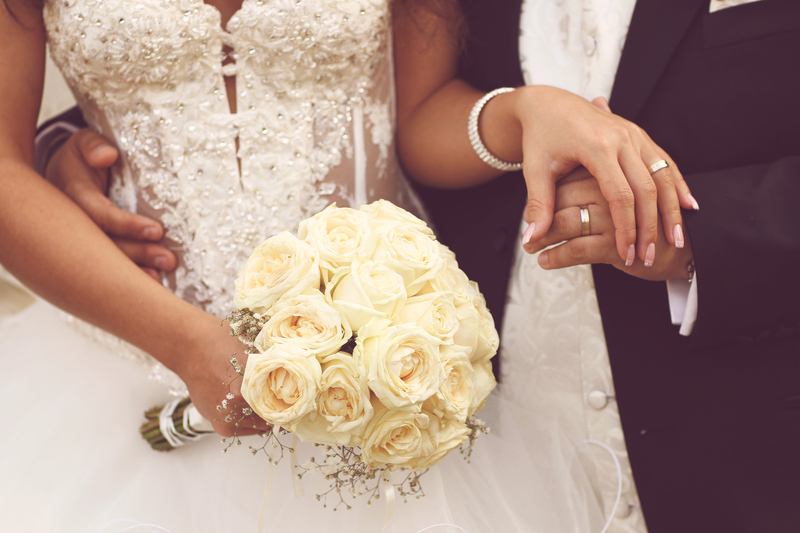 Most sunless tans look their best on day two, so booking your wedding tan appointment two to three days prior to your wedding day is highly recommended. Good results take careful preparation. Following these six steps in advance of your tanning appointment will go a long way towards achieving a long-lasting natural glow. Shower, shave, and exfoliate your skin the day before your appointment. Do NOT apply any type of lotion, cream or oil to your skin the day of your appointment. The tan applies best to clean, dry skin. Avoid wearing deodorant or foundation makeup the day of your appointment. Bring dark, loose-fitting clothing to wear after your appointment. Most sunless tans have a “developing” time of at least four hours or more. During this time, you don’t want any tight-fitting garment to rub against your skin and remove the tanning solution. Most tanning solutions contain a cosmetic bronzer that allows the airbrush artist to see the tan as they are applying it. This bronzer can come off easily onto clothing, bedding, and furniture, so don’t wear light colored clothes right after your tan. Once the tan has developed and you take a shower, the bronzer will wash off so there’s no need to fret over staining your wedding dress! If possible, always schedule body waxings, manicures, and pedicures a day or two prior to your tanning appointment. If you schedule afterwards, you risk the tan coming off on any areas that were waxed or exfoliated. Whatever you wear to tan in while create very defined tan lines. If you don’t want tan lines (read: honeymoon) then tanning au natural is recommended. Airbrush tanning artists are like nurses when it comes to seeing naked people: they’re used to it, and treat each client with professional discretion. There’s no pressure or expectation on the part of the professional, merely a desire to see clients happy with their results. Now is not the time for the deep, dark, Caribbean tan. Unless you’re naturally olive skinned and already sporting a fairly good tan, you don’t want to try and tan in a shade not natural to your skin tone. A good airbrush tanning artist will advise you of this (another reason to do your research!). You want your tan to elevate your own natural beauty and enhance the “wow” factor of your wedding dress. As the bride, you shouldn’t look like you’re the only one who just returned from a six-month sojourn to the tropics. Therefore, choosing a color just a couple shades darker than your natural skin tone is essential. It also prevents your makeup artist from having to completely overhaul her plan for you, or worse, not have the right makeup on hand to match your brazen shade of bronze. Drink plenty of water. A sunless tan looks its very best on hydrated skin. Start drinking lots of water a week or two prior to your appointment and keep up the healthy habit a week after your appointment. Not only is this the most effective way to keep your skin looking its very best, it will also prolong your tan, help it to fade more evenly, and aid in avoiding the “cracking” for which sunless tans are notorious. Moisturize, moisturize, moisturize. A good, natural lotion that does not contain harsh chemicals and/or fragrance is best for maintaining your tan. Avoid harsh soaps that contain sulfates. Sulfates strip the top layer of your skin which is where your tan sits, thereby causing the tan to fade more quickly. Keep from drying out your skin by taking lukewarm showers and always pat your skin dry with a towel. Make it a party! Your bridesmaids (and your future spouse, for that matter) want in on the gorgeous glow, too! Find out if your airbrush tanning studio has any specials for booking a tanning party. Most places will offer discounts and/or throw in extra goodies to make it even more special. It does make wedding pictures look that much better if EVERYONE got their tan from a reputable place! We’ve all seen that one bridesmaid that got the BAD spray tan from a booth (bless her heart). Nobody wants to see that, and newlyweds definitely don’t want that orange glow showing up in their forever wedding photos. So, there you have it. Getting a gorgeous, natural glow for your big day doesn’t have to be scary or out of the question. Brides CAN get one of the best tans they’ve ever had without the sun or its harmful rays by just taking the time to make the right choices. Trust me, you’ll be so glad you did when you look through your wedding photos 25 years from now. Leah Hamsho is the owner and operator of Bella Solé Studio, Asheville’s premier airbrush tanning studio. Her commitment to health fuels everything she does, using only the finest all-natural ingredients to give her clients the natural, glowing tan they desire without subjecting their skin to the sun’s harmful, damaging rays. Leah’s focus at the studio is on providing exemplary customer service and sharing her passion for a healthy lifestyle. Whether it’s curating the products used at Bella or the ingredients in the food she feeds her family, she’s drawn to gathering and sharing information that will work for others, especially busy women. Life balance for Leah means physical activity, enjoying outdoor adventures with her husband, and falling more in love everyday with her exuberant son. To learn more about Leah or to contact her, please visit her profile on our Creative Team page.